I’ve read my ancestors letters and the writings from the men who served with him, They were fighting to save their homes from an invading army !So what did your ancestors have to say about the war ? It’s that ageless pseudo-paradox, “my ancestors didn’t own slaves/didn’t fight to defend slaves, so how was the war fought over slavery?” Well for starters, it is very seldom that a soldier expresses the same reasons for war that a governing body does. According to Azar Gat’s analysis (which I’ll rely in since my German is not yet perfect), of Carl von Clausewitz’s On War (Vom Krieg), Clausewitz gave three stand out essentials about war. One of these deals with war and its purpose. The position assumed is one of the 19th century South’s agrarian society. Thus, the defense will be for such a position. The South attempted secession on the basis of protecting slavery and rejection of Abraham Lincoln’s lawful election in 1860. Why? Because Southern politicians felt the election endangered the ‘peculiar institution.’ The secession would be peaceful as long as the United States government allowed the rebellion to go unchecked. Government policy for the U.S.A. and the C.S.A. collided in the political realm of negotiation, each side hesitating to escalate to the instrument of war. Once the dispute over Federal landholdings in the Charleston Harbor reached cataclysmic proportions, the C.S.A. enhanced the instrument of policy to one of war, thereby escalating violence. Not once did political policy change, merely the instrument of that policy. 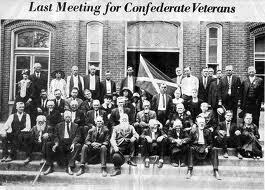 The policy remained consistent through secession to the establishment of the C.S.A. But what of the rank and file? There are numerous reasons why a soldier goes to war. A soldier can, in fact, be of the same opinion and advocate the same policy as the government. You might see this more in a leadership form but even still this represents a minority of soldiers. Other reasons might include, but are not limited to, conscription, defense, to “see the elephant,” maintain a way of life, and perhaps a display of courage. Very few of these reasons have an immediate connection to slavery. If so few soldiers fought for reasons connected to slavery, how then can the war be “fought” over slavery? This is because “fighting” or “war” is merely an instrument. If a man represented the state, this man might brandish his shiny saber as the instrument of war, a continuation of his policy. The soldiers of that state represent the cutting edge of the state’s blade. Regardless of the blade’s intent, it is still wielded by the state. The South’s soldiers fought for the state, and thus the states’ policy. But what of the question posed? What did Union soldiers fight for? Update: Andy Hall did an excellent job of adding even more depth to this argument. He demonstrated that southern states such as Virginia, as a part of the second wave of secession, seceded because of their strong sociological and economic ties to other slave holding states. This strengthens the argument that Southern, Confederate, policy was the preservation of slavery. Slavery had nothing to do with the war. Period. I’m sure you have the sources to back up such an inaccurate statement. George seems to be sweet on you, Rob. Well said Neil. Thanks for commenting. Now George, you have already been told. You must prove your will refrain from acting like a child before you can comment here again. And continuing your “I am better than you rant,” is not the way to go about it.